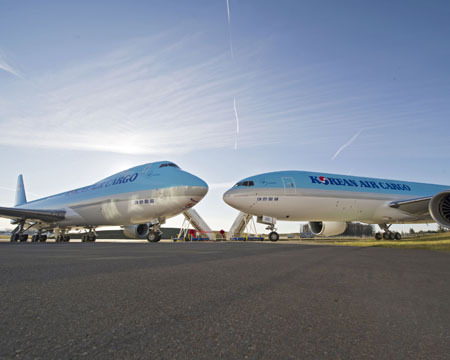 Seoul-based Korean Air has committed to purchasing eleven Boeing aircraft, five 747-8 Intercontinentals and six 777-300ERs. The order is valued at $3.6 billion, and will be placed in Boeing’s order book after the airline confirms its purchase. Korean Air currently operates the Boeing 747-8 freighter, and this purchase will make it the world’s first airline to operate both the passenger and freighter variants of the aircraft. The airline currently flies Boeing 737, 747, and 777 airplanes. It has an all-Boeing cargo fleet as well.